April 30, 2013 Culture » Big Shiny Robot! Back in 2002, I owned and operated a small Utah comic-book store, and I was asked by the distributor from which I received my comics if I’d be interested in participating in the first-ever Free Comic Book Day. At the time, I wasn’t sure what the event would yield me—and as a new store, I wondered how buying comics to give away could possibly help me. I found out quickly that it could help immensely. With the new Spider-Man movie coming out on the same weekend as that first Free Comic Book Day, and interest in comics at an all-time high, any excuse to come into a comic-book store was a good one. I had lines out the door all day, because who could pass up free comics? Now held the first Saturday of May every year, it always seems to coincide with the release of a new comic-book movie—it’s Iron Man 3 this year—that ignites interest in comics all over again. With Free Comic Book Day now in its 11th year, it’s become one of the biggest days of the year for comic-book retailers. All of the Salt Lake City area comic-book stores are participating this year, and most have special events and sales planned. This year, Free Comic Book Day has extra significance since it lands on May 4, known internationally as Star Wars Day (May the Fourth Be With You! Get it? Yeah, I don’t think it’s that funny, either, but anything for more Star Wars in our lives, right? ).Whether you’re a first-time reader or a longtime comics enthusiast, it’s the best day of the year to continue your habit—or start a new one. To mark the occasion, Dr. Volt’s Comic Connection (2043 E. 3300 South, Salt Lake City, 801-485-6114, DrVolts.com) is going to have the Mandalorian Mercs—better known as the people who dress kind of like Boba Fett—in the store. In addition to guys in Star Wars costumes, Dr. Volt’s is putting everything in the store on sale, and will feature local artist Kat Martin, who will be there hawking her geeky paintings. Night Flight Comics (6222 S. State, Salt Lake City, 801-263-1940, Night-Flight.com) is hosting a Free Comic Book day event of its own, with comic-book artist signings and more than a fair share of free comics. Owner Alan Carroll explained that they usually have hundreds of comics readers lined up outside their door before they open, so this year, a stand-up comic and musician will be entertaining the crowd as they wait to get their free comics and buy many more. “The Jazz Bear usually stops by, too, gets the kids fired up and leaves confetti all over the place,” Carroll says. Black Cat Comics (2261 Highland Drive, Salt Lake City, 801-461-4228, BlackCat-Comics.com) is hosting its version of Free Comic Book Day as well, but with more local flavor. The store is playing host to local comic artist and writer Chris Hoffman, and premiering his new comic book, Salt City Strangers. The book centers around a Utah-based superhero team dispatching supernatural threats to our fair town. The heroes on the team are all Utah-themed, featuring characters like Golden Spike, The Gull, Den Mother and Deputy Deseret. 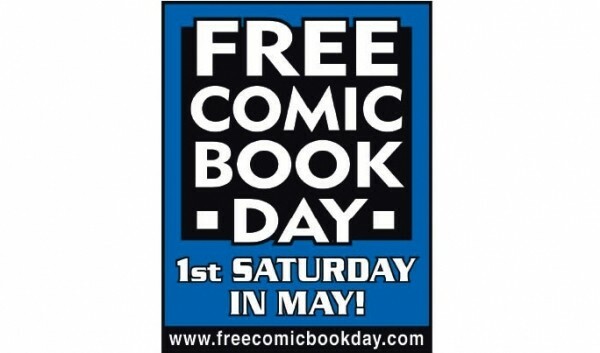 Wherever you stop by to snag free comics for this annual celebration, it would be good for the strength of your local omics community to buy something, too. These local retailers are the backbone of our local geek culture, and if you don’t patronize them (and buy their stuff, too) then they might disappear. Chatting with the crew of the U of U's geeky website and podcast. Peering behind the doors of the cosplay maker's space.